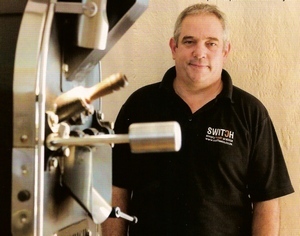 It took just over 14 months after Lucien passed away for the coffee roasting company that Lucien started in 2003, to finally close its doors. The coffee roasting company based at Lorensford, was the seed of many coffee company’s that started up. Including Quaffee, which for most of the time, was a partner in bringing green (unroasted) coffee and other equipment. We are also sorry to see how his boys have been denied their heritage. 24 Jan 2013. I have just received notification that the roastery at Lorensford is open again. I have no details, about what and how, but I have been told the Glynis is still there. If it is business as usual I wish them good luck.